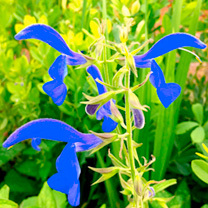 "There is no other flower that can be grown from seed with a more 'true blue' colour to the blooms on erect stems. 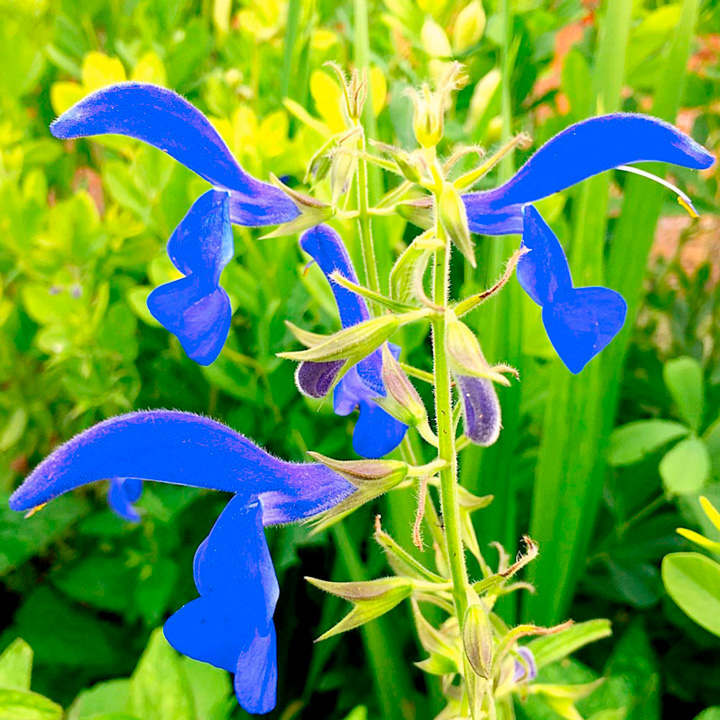 Flowering for an incredible 5 months if given full sun, this plant is a half hardy perennial, meaning it will come back next year whether its grown in the open ground or a container. Just remember to give a little protection if its a bad winter. Ideal for spilling out of an arrangement, make sure to dip the cut end of the stalk in boiling water for 20 seconds to prolong the flowers vase life". Height 90-140cm (36-56"). Sow February-April or August/September in trays of moist seed compost. Do not cover the seeds as they need daylight to germinate. Pot on into 7.5cm (3") pots when big enough and plant out after the last frost.Later sown seeds will need cold frame or cold greenhouse protection over the winter. Final spacing of 30cm (12"), or grow in containers.